Alien Explorations: Jurassic World poster (2015) references HR Giger's Necronom I ? 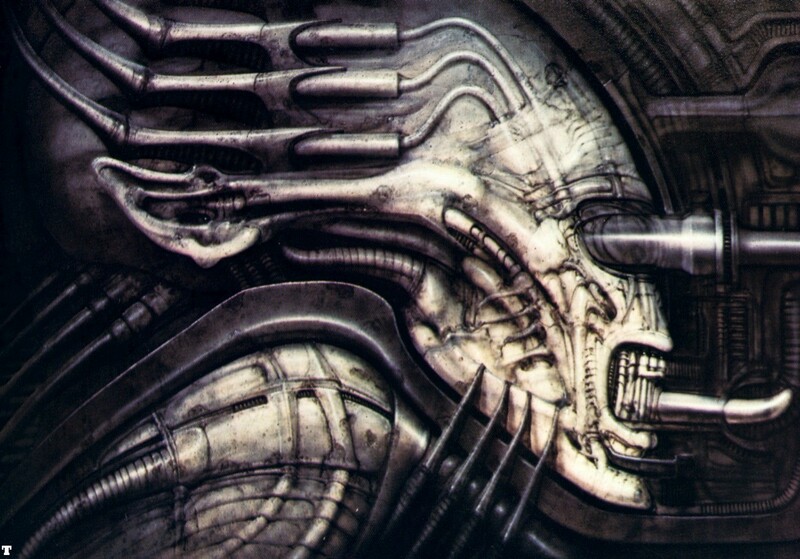 references HR Giger's Necronom I ? 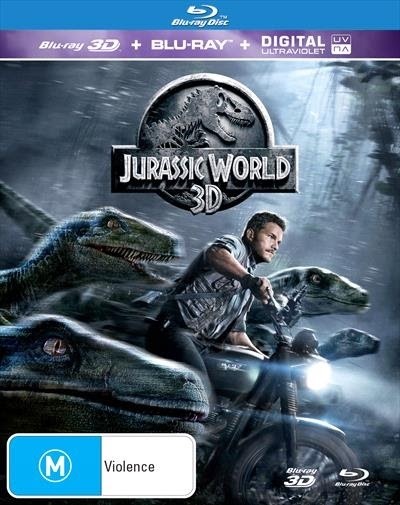 b) Blu-ray cover with more of the artwork either side. 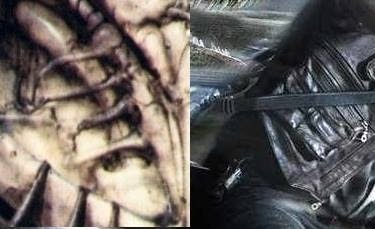 d) The two images side by side. 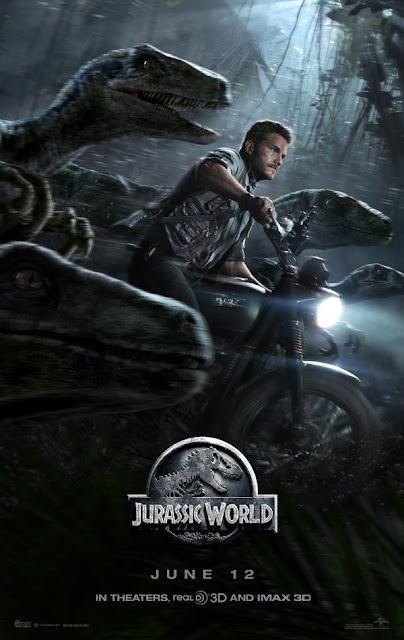 It's not as if the artist is trying to make the poster recognisably biomechanic but content has qualities where it could be interpreted that way as a metaphor because of the relationship between the man on his motorbike and the raptors all running along with him. 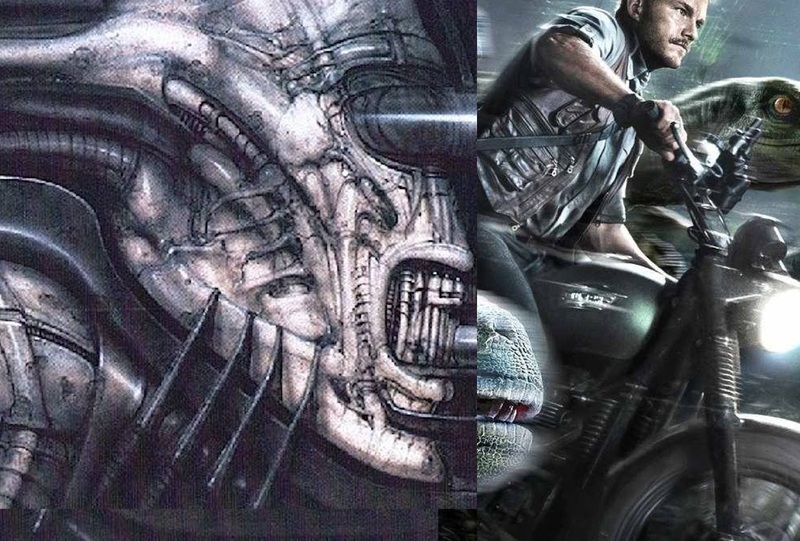 In this way, the poster art can be seen as successful. The following comparisons are also to be considered in a generalised way as well. e) Face and motorcyclist. Generally you can put the head where the pipes at the top curve upwards. f) The long cheek bones connecting jaw tendons become His shoulder and arm connecting with the handle and front fork of the bike. h) The upper three rows of claw like appendages running along the back of the Necronom I head become the upper raptor head. 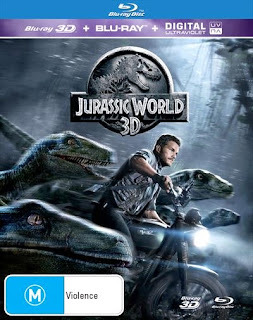 i) Tendrils roughly form a ribbing pattern but it seems as if the artist for the Jurassic World poster creates a sort of a ribbing with the pockets in the man's wastecoat, slanting in a completely different direction. j) The upward claw like tip of the top of these appendages becomes the the tale of the raptor on the far right that pokes out to the left or behind the head of the upper left raptor. k) The tongue becomes the front mudguard.